Kid with Camera was set up by Illustrator Matt Greenwood in Grimsby, England, as an outlet for expressing a passion for creating products that other people could enjoy. The result is a collection of affordable stationery, greetings cards and photographic prints with a unique style and spirit that is sure to make people smile. In today’s post I have selected to show a few of the quirky birthday cards on offer, as well as my personal favourite from the Kid with Camera online shop – some charming hand-illustrated notebooks. 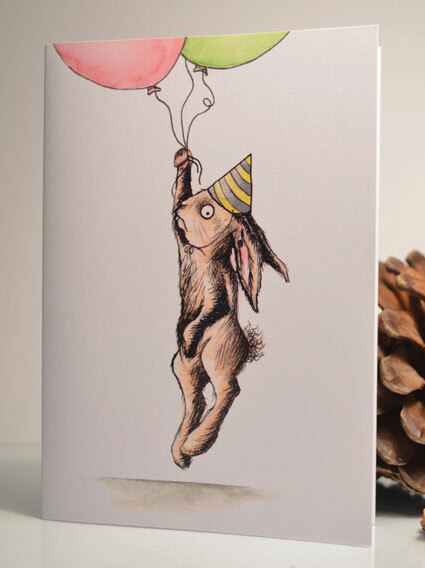 Featured items: Individual greeting cards, priced at £1.45 each; also available as a multipack of five cards for £6.00. The hand-drawn notebooks are £3.99 each or take advantage of the bargain price of £5.50 for a set including both designs. To see more from Kid with Camera take a look at the online shop.